In the current scenario, organizations have requirements of information software and system that helps to collect, store, analyze and communicate the data internal and external both environment. 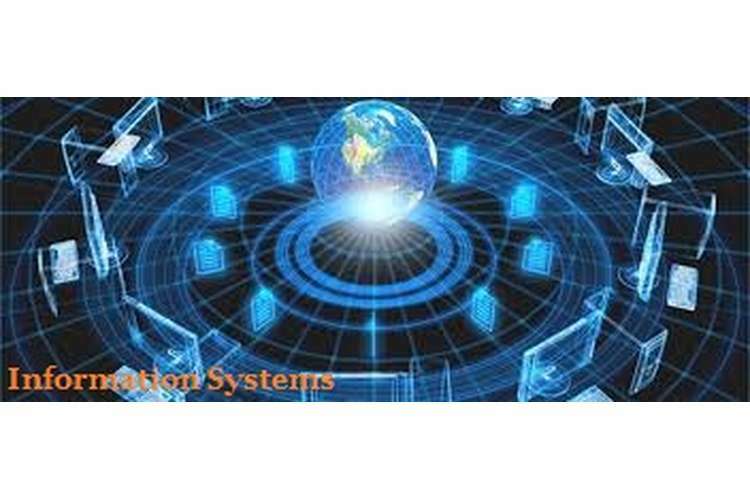 An information system is an organized and structured system that helps to filter, process and manage the information according to needs and requirements of organization to make the decisions. The information systems assignment help will discuss about the different type of system and software that could be beneficial for organizations to overcome the gaps and manage the business operations to achieve the desired standard. Moreover, report will analyze the case of Disk4U and Sun gate organization that having the issues to run business as well maintain the flow of information. Report will propose software by considering the requirements, cost and challenges that organizations are facing during the business development process. For any kind of business planning and development, information and data analysis plays critical role to identify issues, decision making and planning of new strategy to achieve the goals and objective. Information helps management to gain the knowledge and understanding about the new trends, analysis of existing information about staff and supplier as well as customer to analyze the issues and implement the changes in strategy. The information is important for operational excellence, development of new services and business models, customer and supplier intimacy and day to day survival. The major role of information in business is to make decision and planning of the business operations considering the feedback, forecasting needs and external opportunities to expand and grow the business. By collecting and analyzing the information the management of organization could gain the understanding about the customer needs, competitor policies and trend in the market to maintain the operational standard and meet the satisfaction level of customers (Fukuda-Parr and Lopes, 2013). For different kind of business organizations, requirements of information would be different as it depends on the operations and functions to achieve the business goals. Apart from that, budget planning and investigation of financial activities of organization collection and analysis of information is essential. As per given case, Disk4U is an organization in Sydney is a small and family-owned business and it basically deals in CDs and Vinyl Records. Disk4U has four outlets which are extended in the region of Sydney metropolitan areas. In order to sustain its growth and position in the market, the organization is using a various outlets such as physical and online so as to widen its business by increasing the sell. The strategy adopted by the organization for expanding its business is appropriate but due to deficiency in the proper information system such strategies are not working well as per the expectations. The core motive of the organization is to attain a reasonable enhancement in the excellence of services offered and to develop a good relation with their employees and clients. In order to achieve all these objectives, organization has tune over the online business process (Hall, 2012). Presently, the organization is doing its business by collecting orders through emails, telephones, physical front offices, and also by using various online channels. Since through these expansions, the requirement for improving the manual accounting process has been increased in Disk4U. Therefore, the management has decided to implement the new accounting software in the organization in order to achieve correctness and proper sharing of data in the organization. Accounting: The accounting software assists in preparing monetary transactions, trial balances, accounts payable and receivable, etc. There many types of accounting software are available which can be used for proper handling of information and creating a fast accounting book which assists the organization in making a correct decision after taking into account the strengths and weaknesses of Disk4U (Weygandt.et.al, 2010). The accounting software would be used in Disk4U in order to keep record of all financial activities of the organization, monitoring and maintaining inventory and stock and also for developing the purchase order, sales order and billing. It can also be used in viewing various types of reports such as business reports and taxation reports easily. According to the needs and requirements the accounting software such as commercial accounting, spreadsheets, custom accounting software and enterprise accounting software can be used in the organization. CRM: CRM (Customer Relationship Management) is another type of software based on information system which assists organization in gathering and evaluating the information related to the customers and drafting the required changes in products and services offered by the Disk4U accordingly. The CRM software is basically used in the organisations for improving the sales, maintaining the relationship with the clients by communicating them through various online sources (Kumar, 2010). This can be achieved through various types of CRM software available in the market like In fusion soft, Sales force and Fresh desk. Hence, CRM software is very beneficial for the Disk4U because it will assist the organization in expanding its business effectively, retaining its customers, resolving the complaints made by their clients and improving its sales. ERP: It is a type of trade management software which helps the organization in gathering, storing, evaluating and transferring the information with the employees and clients of the organization. Product planning, inventory, payment, manufacturing and service delivery are some of the key activities of Disk4U. It is important for the organization because it deals all the information well and accurately by integrating the various trade processes and creating a database (Leon, 2014). This would also assists the top management in making a certain decisions in order to bring efficiency in the various functional and operational activities of Disk4U so as to beat the problems effectively and obtaining the transactions free from any type of errors. The appropriate accounting software is required in Disk4U so as to achieve the objectives and efficiencies in the operational and functional activities effectively. Presently in the market, many types of accounting software are available so that to perk up the manual handling and provides easy recording of details related to the transactions as well as client’s order. The SAGE accounting software is the one which is recommended after analysing the business processes and needs of the Disk4U. This software is best because it is easy to use, affordable and especially designed for the small traders and small scale businesses (Fontinelle, 2011). This accounting software facilitates organization in preparing a customer’s invoice, analysing the performance of the organization, and also manages the budget, tax, stock, etc. In this software, many numbers of transactions can be entered because no such limitation has been laid down. It allows cloud based solutions. To implement the SAGE and CRM software, organization is required to gather all the necessary information related to cost of installations and resources required while installation. The estimated cost of installation is approx $80,000 but the resources required while installing such software in the organization may raise the estimated cost. The organization is also required to appoint an expert in order to provide training to the employees for proper and effective utilization of the software so installed (Amidu.et.al, 2011). Organization would also require buying hardware and developing infrastructure facilities that would facilitate in using the software effectively in the organization. As per the given case, $150,000 is the budget of Disk4U for developing and implementing the information software in the organization. $135,000 is the overall estimated expenditure which includes all the expenses related to implementation and integration of accounting software and CRM as well as all additional cost related to purchase of software and other miscellaneous expenses. Data reliability: The CRM and Sage software offers information by filtering and managing the data collected through different sources. This would be major advantage for Disk4U to have assessed of accurate information to make decision more effective and convincing manners. By having record of financial transaction, information about employees and customers interaction will be helpful to maintain the operational and functional process of business. Cost benefits: Software will help management to perform the tasks and operations more easier manners as less paper work and communication cost will be required. By implementing the software the cost of manual handling would be overcome (Gebhart.et.al. 2013). By forecasting and having the knowledge about needs and requirements of customer, management will able to arrange resources which will be less costly for organization. Report: By using the Sage essentials accounting software, the organization would be able to develop the reports according to needs of clients and supplier. This kind of information would be beneficial for Disk4U to make decision and planning of the operations to meet the objectives and apply additional force to maintain the level of service and sustain the position. These reports will help to make the changes in the existing operational activities and maintain the flow of activities with existing customers. The report will include the information about sales of the particular products and services, demand of specific services, customer details and transaction in the month. Sungate Foods is the rice producing organization that provides quality rice to its clients and organization have the best distribution channel to distribute the rice. Organization produces 80 tons per hour in season and handles the base of 100 staff in three categories like processing, warehousing and locations in Western Victoria. Organization has the marketing office in Melbourne, Victoria and has the capacity to store 30,000 metric tons of rice in the ware houses. Sungate is the biggest milling facility of 125,000 square feet that assist the organization to produce the large quantity of rice. Organization buys the rice from the farmers and then packs them properly then sells them at the national and global levels to generate more revenue. But organization is facing the problem of recording of transactions this hurdle is wasting the time of the organization and also binds the organization to do the entry twice to correct the error. Sometimes management may skip the important transaction to record and thus it brings heavy loss for the organization. Organization buy the product from the around 300 farms and sell them at the global platforms. In some decision organization may not consider the recorded transaction because of their less surety. The basic problem of the organization is improper recording of the transaction or manual re-entries. Stock is generally kept high to ensure complete orders. Organization is facing the problem of recording the transaction in the proper way. Sungate needs to know that what kind of information organization needs to improve the efficiency of organization. Management is focused to adopt new technology that eradicates the recording problem of recording. Organization is focused to find the suitable software in order to keep the transaction in the efficient manner. Sungate is facing the problem of recording the transaction in proper way that decreases the efficiency of the organization. Due to lack of software adaptability organization is not able to record the transaction and manual recording is wasting the time of the organization. Staff members may not have the redundancies repetitive tasks manually. The analytics skills of the employees may be decreased and organization is facing the problem of miscalculation in the book keeping. In the, absence accounting software organization is wasting the time in correcting the previous entries (Teittinen.et.al.2013). Management is not able to calculate the overall sales of the organization it has four outlets in order to record all the transaction Sungate needs 2 to 3 days so they are facing the issue of recording the transaction. Manual calculation has the probability of error and sometimes human minds may skip the entry. So it is one of the biggest problems for organization to record the transaction. Manual entries of all the orders and financial transactions some up to 10 times wasting time and generating the errors. This kind of issues is faced by the management due to lack of software. Sometimes organization is facing the problems of lack of technological advancement by which they are not able to record the transactions. Through manual recording of organization bears high cost that increases the expenses of the organization. Sungate Foods purchases rice from 350 farms it is not easy to record the transaction manually so management is facing the problem of recoding the transaction technically (Hejazi.et.al.2014). Organization is facing the issues related to the record of the employee’s turnover and attendance of the employees due this sometimes organization pays over salary to the employees. Sungate Foods is in need of the ERP software in the organization that improves the efficiency of the organization and save management from the day to day losses. ERP software eliminates the repetitive processes from the organization and reduces the wastage of time from the business. The software makes the data collection process easier and helps the organization to remove the unnecessary data from the organization. Management needs can easily allocate the data and identify the necessary information from the generated data. Instead of having the data distributed or collected by the different departments the software provide single platform to collect the data (Nettsträter.et.al.2015). With the help of software data can be maintained up-to-date and top management can easily take the necessary decision with the help of recorded data. The Software helps the financial department to report the data easily and customizable. It also assists the management to provide the quality services to the customer by keeping each and every record of their transaction. Through recording of sales and customer service business can easily interact with the customer and also provide them the reliable services. The software improves the relationship among the customer and organization. The ERP Software provides security to the collected data and also ensures that the collected data would not be copied with by any other source in the organization. Restrictions to data can also be increased and also improves operations of the organization (Johansson and Carlsson, 2013). For example management may use ERP software than organization can collect the data of 350 farms with date time and payable amount. Oracle is the best software that solves all the issue of the organization and also helps the management to operate the business in more effective way. The software improves the business operations and improves the customer relation by which they can improve the sales of the organization. The software will fulfil all the demands of the business like recording of sellers than customer relation and finally repetition of transaction. This kind of software improves the overall efficiency of the organization and delivers quality services to the management. The threat of security is also been removed by the software by providing the user restriction. It can be recommended that after installation of this software in the organization management can easily improve the efficiency and manage the transaction according to the need (Powell.et.al.2013). The best feature of the oracle software that it keeps the data confidential and safe. There various kinds of ERP software is available in market that offering the advance and budget functions according needs of organizations. According to analysis, Sungate management is looking of economic ERP software system that offers the advance functions for managing the information and helps in planning of human resources. By considering this fact, Microsoft ERP software would be beneficial for organization as it offering the all kind of functions and tool for collecting, managing, communicating and analyzing the information in both internal and external aspects (Schorr.et.al. 2013). In order to implement the Microsoft ERP, organization requires arranging the fund and skilled human resource for operating the software. Sungate employed a base of 100 staff in three processing/warehouse locations in Western Victoria and a marketing office in Melbourne, Victoria. Its largest milling facility encloses 125,000 square feet, 30,000 metric tons of storage. The cost of software is $85000 and for implantation, organization requires to develop infrastructure, hardware and technical resources to integrate the ERP in organization. For that purpose, organization requires the skilled human resources that have knowledge about the functions and implementation of ERP according to need of Sungate. In addition to this, management also requires the fund for offering the training for proper utilization of software to meet the outcome through implementation. According to breakdown list the total cost of purchasing and implementing the software would be $150000 with proper integration. It will be in budget of organization as it planning to invest approx $150000 for good information software to overcome the challenges of manual handling. From the above study, it is been considered that information system or software are essential for organization to have close look for financial and operational services to meet the objectives and goals more efficient manner. Report has provided the information about the need of information system and analyzes the process of proper utilization to maintain the flow of information and monitor the services. Moreover, for Disk4U report has proposed CRM and Sage accounting software that will help management to maintain the relation with customers and evaluate the transactions. Moreover, report has discussed about the ERP system for Sungate organization to maintain the information about staff and customers to have error free information process with accuracy. Amidu, M., Effah, J. and Abor, J., 2011. E-accounting practices among small and medium enterprises in Ghana. Journal of Management Policy and Practice, 12(4), p.146. Fontinelle, A., 2011. Introduction To Accounting Information Systems. Fukuda-Parr, S. and Lopes, C. eds., 2013. Capacity for development: new solutions to old problems. Routledge. Gebhart, B., Glines, S.M. and Foss Jr, S.H., Norse Corporation, 2013.Systems and methods for integrating accounting software and payment processing systems. U.S. Patent Application 13/803,868. Hall, J.A., 2012. Accounting information systems. Cengage Learning. Hejazi, S.S., Halpin, A.L. and Biggs, W.D., 2014. Using SAP ERP technology to integrate the undergraduate business curriculum.Developments in Business Simulation and Experiential Learning, 30.